2 MPs and 20 MCAs defect from Jubilee to NASA in Rift Valley. - Bana Kenya News, Real African Network Tubanane. Home News 2 MPs and 20 MCAs defect from Jubilee to NASA in Rift Valley. 2 MPs and 20 MCAs defect from Jubilee to NASA in Rift Valley. Jubilee nomination in a shambles as many aspirants defects. 20 MCAs and 2 MPs from Kajiado defected from Jubilee to NASA. 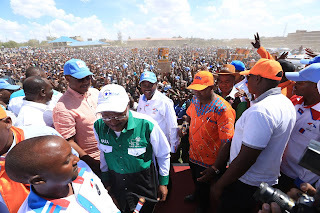 According to the wiper party leader who has been camping in Kajiado, the team turned the face of Kajiado from being a half political zone to full NASA zone. Another defector is the Tiaty MP Asman Kamama from the powerful parliamentary National Security Committee who also defected from PNU to the Isaac Ruto party Chama Cha Mashinani(CCM). The aspirants are now looking for true political vehicles that will enable them either win the respective seats or retain for the incumbent. 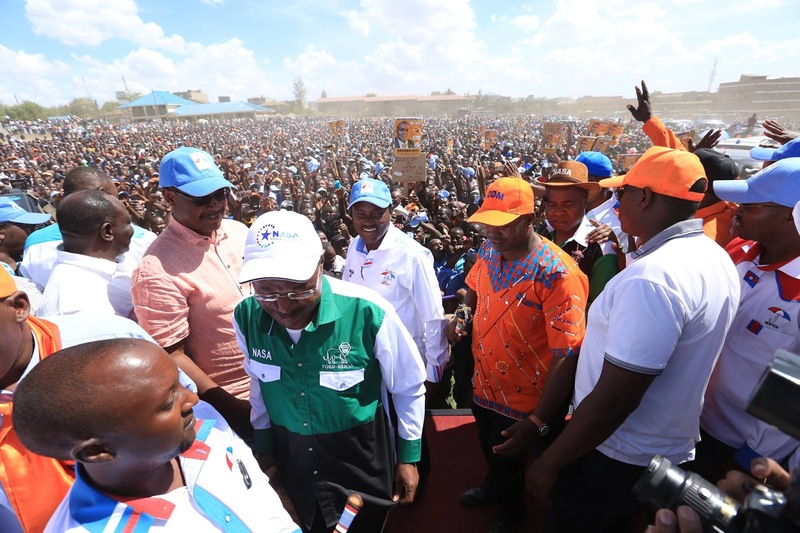 The wiper Party leader Kalonzo Musyoka assured that the people of Kajiado that the next general elections will be a true democratic overhaul. The government that the opposition will make will include everyone and from all regions. "As you can see the current government is from two tribes, not regions. And they purport to represent the country. If you say we are together and your government is made of two communities actually is that togetherness?" Said the wiper leader Kalonzo Musyoka.